It has been a good Lunar New Year holiday break visiting relatives and friends as well as recharging one’s human super battery in order to further one’s journey and meet the constant challenges thrown at us in our daily lives. I have no time to do any finance blogging recently as I was too busy catching the latest TV drama “The Legend of Hao Ran (皓镧传)”. The amazing thing about this drama is that it teaches everyone about how business and politics work in real life and I swear that it is even better than taking up MBA programmes. Li Hao Ran is actually the mother of Qin Shi Huang, the Qin King who united all of China and well known as the legendary first emperor of China. 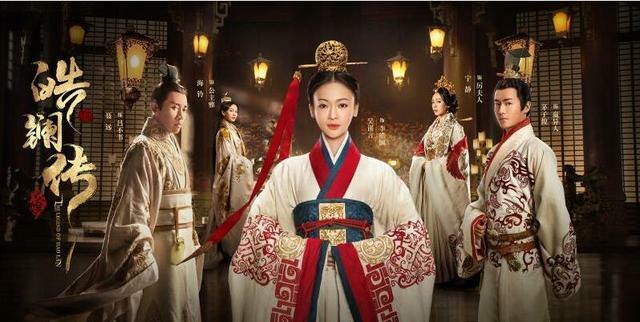 The Legend of Hao Ran is actually the story of how Li Hao Ran, a lady of a court official in the Zhao State who rose to became Empress Dowager in the state of Qin during the Warring States era. My favourite character in this show is actually Lu Bu Wei. Lu Bu Wei was originally a rich and influential merchant who met and befriended King Zhuang Xiang of Qin who was then known as Prince Yi Ren serving as a hostage in Zhao state. Lu Bu Wei plotted and helped Prince Yi Ren return to the State of Qin. Lu Bu Wei later became the chancellor of the state of Qin upon the ascension of Prince Yi Ren to the throne. One of the interesting episodes depicts Lu Bu Wei during an auction event in the state of Zhao. At this auction was a Luminous Pearl that was well known to be pricey. Lu Bu Wei quickly offered a bid that is ten times more than the last one to win the auction. However, to the surprise of everyone at the auction, Lu Bu Wei only asked for the wooden box holding the Pearl and gave up on the Luminous Pearl. When the Prime Minister of the state of Zhao asked Lu Bu Wei on the reason for his strange request, he replied that there are many luminous pearls out there in the world but the delicately crafted box is made up of a rare red-earthed wood that can only be found on top of a special mountain. It is a rarity that determines the valuation of any item. The Prime Minister upon hearing this was very impressed with Lu Bu Wei and thus highly recommend him to the King of Zhao who subsequently appointed Lu Bu Wei as a court official. My favourite scene so far is the battle of Chang Ping between Qin and Zhao which involved armies sizes totaling close to 1 million men taking part in this historic war. Before the onset of this great battle, the state of Qin secretly switched the Commanding officer and sent their best General named Bai Qi to lead the battlefront and sealed all information about this move. They also spread rumors that the Zhao General Lian Po was a coward which the stupid King of Zhao believed and changed the Commanding Officer to a very young general called Zhao Kuo, who was an advocate of leading attacks instead of adopting a defensive strategy. As a result, the state of Zhao lost this war which led to their eventual demise. The loss of 450,000 men slaughtered by General Bai Qi of the state of Qin was too overwhelming devasting to the state of Zhao and marks a critical milestone whereby Zhao lost their superpower status during the period of the Warring State. This set the stage for the state of Qin to be the dominant military power in that era.